Images and video clips by Joyce Meyer. 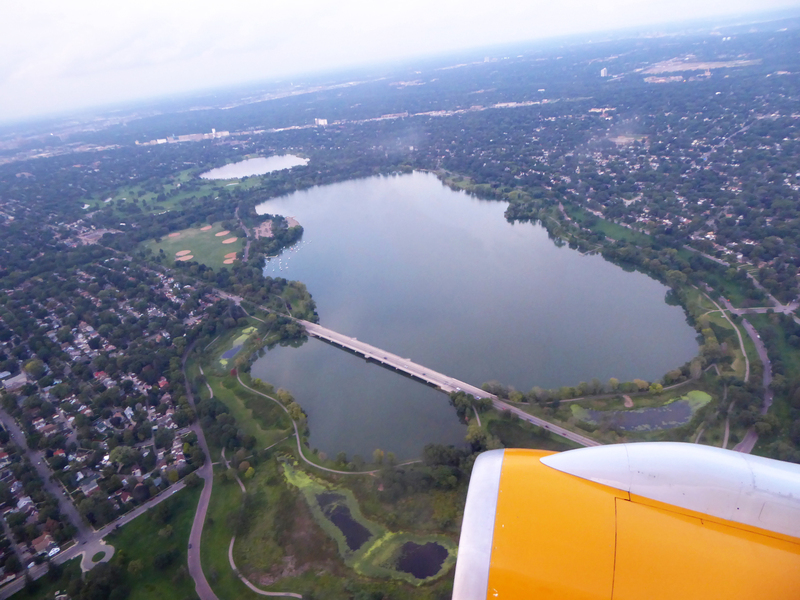 We lift off on August 29, 2016 and have a bird’s eye view of the Minneapolis area. 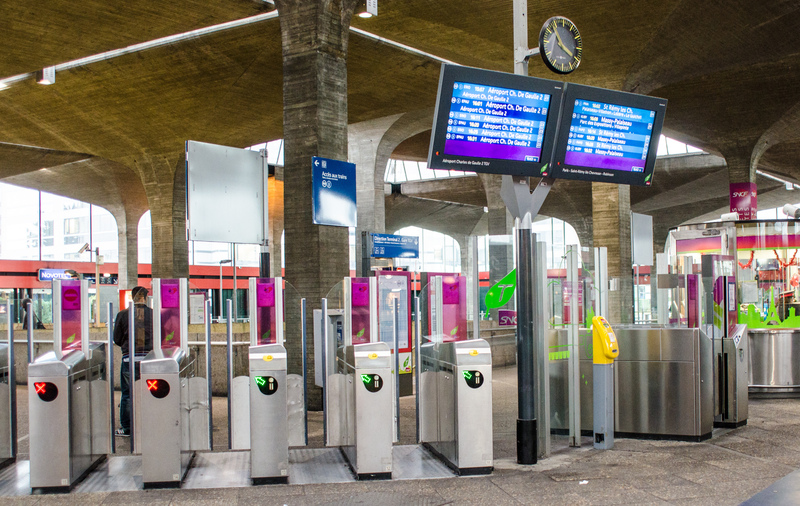 August 30, 2016: After landing at the Paris airport we easily make our way to the Gare du Nord RER station with a couple of hours to spare and carefully watch the monitors to find our platform number for the train to Bayonne, France. All we see listed for our train is the word delayed. Finally, a platform number appears on the monitor and we rush to find our assigned train car. Crowds of people rush along with us trying to read the faded small car numbers and Randy has gone on ahead to locate our car. All of a sudden, the bells go off and Joan and I are pushed onto a random car by a railroad employee. This delayed train is trying to make up time with a short stop here. Where’s Randy? Oh, no… did he even get on the train? 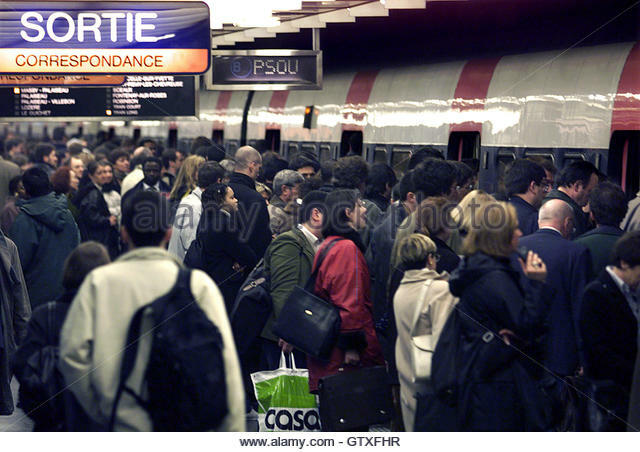 Is he still standing on the platform at the Paris train station? We try to walk forward through the train cars to find him. No, we can’t… Hearts sink as we discover this train is really made up of two trains hooked together and they will eventually separate with different destinations. Plus, Randy has our tickets. Trying not to panic, we alert an employee and nobody seems very concerned. No cell phones, no two-way radios and basically no French language skills other than counting to 10 and merci. Randy must have gotten on the train in front and made his dilemma known as we are aware that there is a “situation” in the other train. Will we lose Randy in France before we even start hiking? How will we ever find him and where will he be? Worse case scenarios rush through my mind. 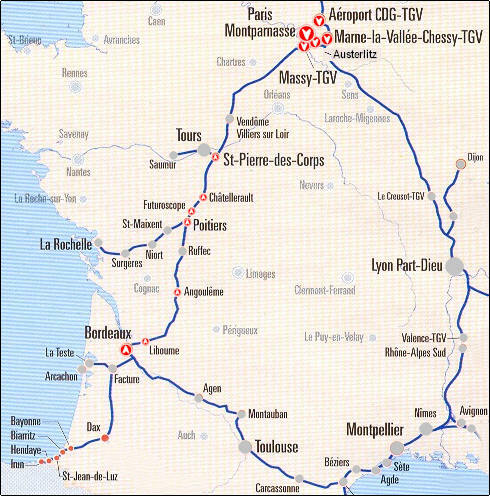 We are instructed, when the train arrives in Bordeaux, to hop off and get onto the correct train before it is unhooked to split off. Meanwhile, Randy has made friends with a wonderful gentleman named Al who speaks French and English so he interprets between Randy and the railroad employees. Several delays along the tracks means our train ride is getting longer and longer and darkness eventually surrounds us. At least Joan and I have the wine. Five hours later… Al helps Randy position himself just outside the car closest to our train, so that we can quickly find him before the train leaves and splits. After a long and tense ride we are reunited and it feels so-o-o good as we can finally continue our travels together again. 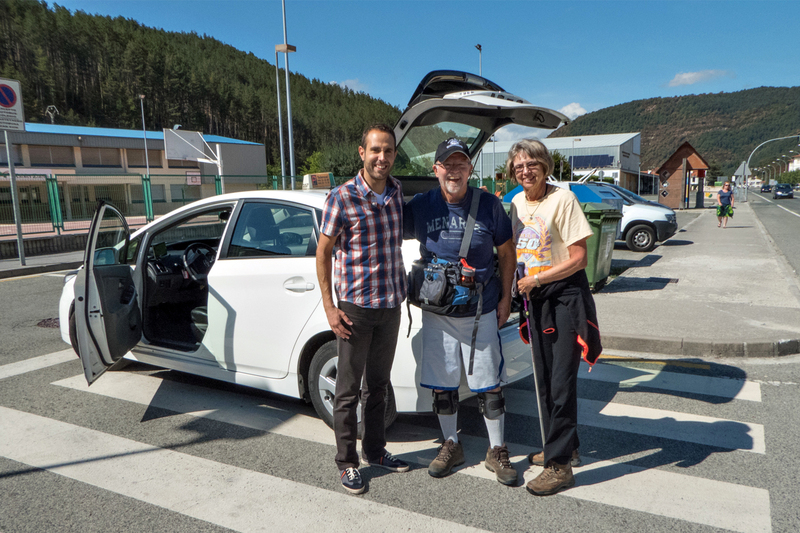 A huge thank you goes out to our Camino angel named Al. Travel tip: Do not wander away from your group when attempting to get on a train. 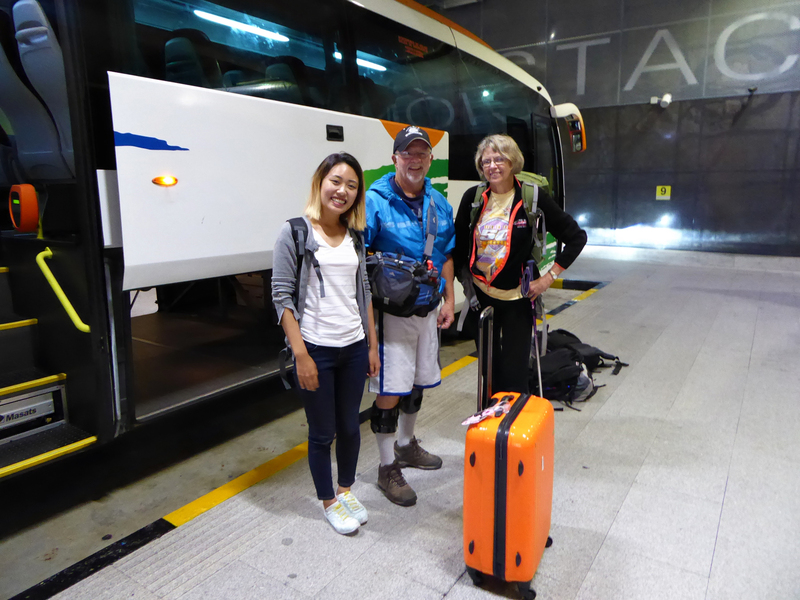 August 31, 2016: Next leg involves buses from Bayonne to San Sebastian and on to Pamplona. It’s always interesting to visit with other travelers when using public transportation. Last step is the taxi ride from Pamplona to Zubiri since there is no bus service available. Thanks to Cesar Mendez we had a great ride and interesting conversation discussing our different countries and interests. Thanks, for the fabulous service, Cesar! Now we can say that we have met a person that has actually “run with the bulls” in Pamplona. By the looks of our clothing, we appear to be homeless, don’t we? Apparently, we don’t want to put on airs and are saving on laundry during the first day of hiking.